If you’re deciding between the RAM 2500 vs. RAM 3500, which should you choose? Both models offer robust performance and state-of-the-art technology, so you’re in good hands with either option. And while the RAM 2500 delivers jaw-dropping capabilities, the immense RAM 3500 towing capacity is one of the best in the segment. Take a look at the similarities and differences below, and visit Nyle Maxwell Chrysler Dodge Jeep Ram to get behind the wheel! The RAM 2500 and RAM 3500 have quite a few things in common, but the differences may be deal breakers for some drivers. 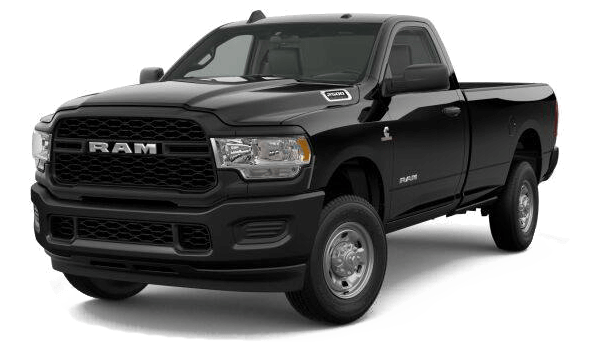 For example, both models offer a standard 410-hp 6.4L HEMI V8 engine with 429 lb-ft of torque for a whopping 17,130-pound max towing capacity. Both models also include the option of a second 370-hp 6.7L Cummins® Turbo Diesel I6 with 850 lb-ft of torque. But if you need truly immense power to handle your toughest tasks, only the RAM 3500 offers the available high-output version of the 6.7L Cummins® Turbo Diesel I6 – which boasts an unbelievable 35,100-pound maximum towing capacity! If you need those supersized capabilities, then stick with the RAM 3500. But if you don’t, then you might want to save yourself some money and choose the lower-priced RAM 2500 powerhouse instead. Between the RAM 2500 vs. RAM 3500, which has the safer performance? The good news is that both vehicles share the same incredible technology to keep you safe and secure on the road. Adaptive Cruise Control maintains your preferred speed when possible, but also slows when needed to keep pace with surrounding traffic. Forward Collision Warning will warn drivers when a potential collision is imminent, automatically hitting the brakes when necessary. Blind Spot Warning alerts you when a vehicle approaches your blind spot with help from sensors embedded in your taillights. You’ve read our RAM truck comparison, now see how these vehicles stack up against the competition! 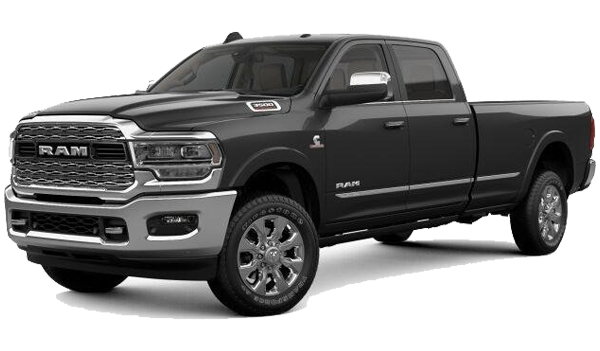 Read our truck comparison of the RAM 2500 vs. the 2019 Ford F-150 to see why the RAM lineup is one of the best on the market today. Ready for your test drive? Contact us at Nyle Maxwell Chrysler Dodge Jeep Ram today!